Features: Something new from our popular PEARL Collection; the fabulous Perla line! 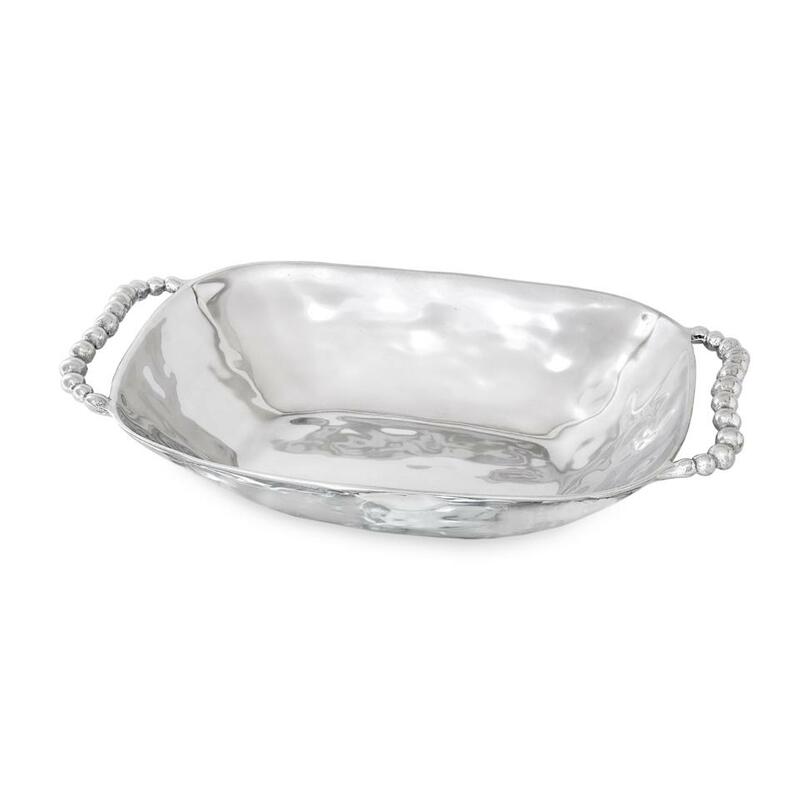 This Perla Oval Bowl with Handles makes a dramatic statement with its handles made up of pearl-shaped beads, gorgeous shape, and richly polished surface. 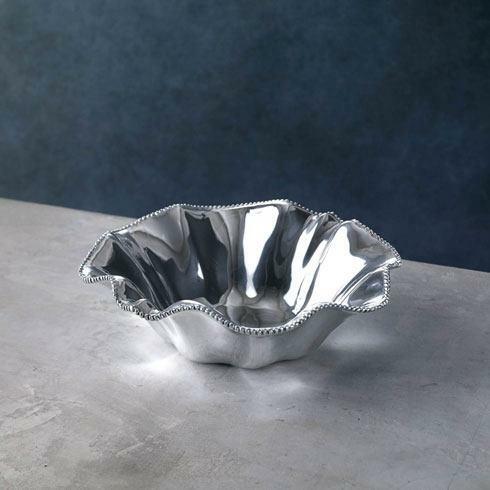 Large enough for an elegant salad or side dish, it fulfills a variety of serving needs. You'll use this piece every day. Pair it with any of our Perla pieces to create a memorable setting, or give as a gift.